Since I've become older my eyesight has got worse. I've always been short-sighted but over the last year or two my reading ability has changed and I've had to succumb to reading glasses. These have helped me focus on fine print and I've also noticed that I need to use the light on my iPhone to read a menu in low lighting conditions. 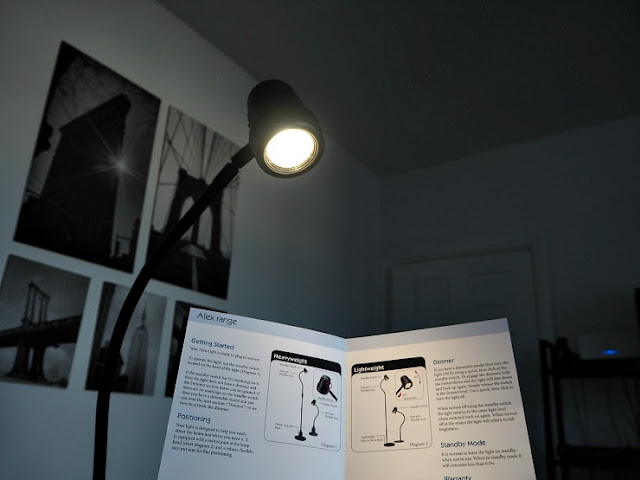 So when Serious Readers, a lighting company, got in touch to ask me to review one of their reading lights I could hardly say no. I really did need a quality reading light! Serious Readers came about on the back of their original company that sold essential reading lights for 25 years to a range of places including lifeboats and space ships. When the founder Alex Pratt couldn't find a good reading light for his mum, he decided to invent one himself, and so the company was born. 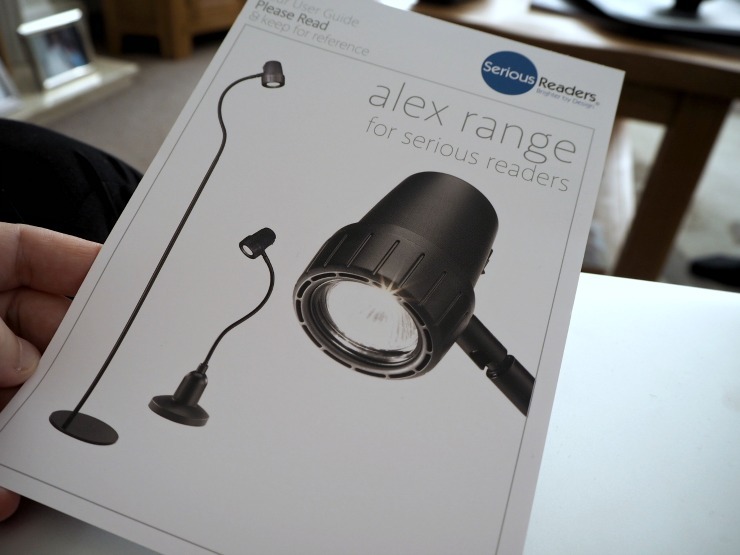 The Alex range from Serious Readers is their classic range. 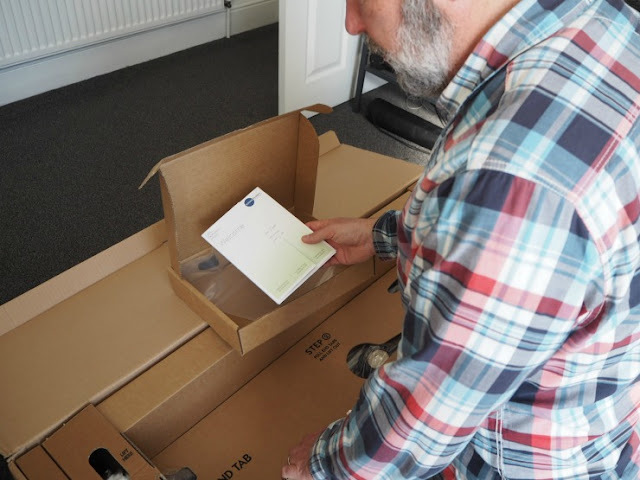 Unboxing was easy, it was well packed and all assembled so no worrying about following complicated instructions. 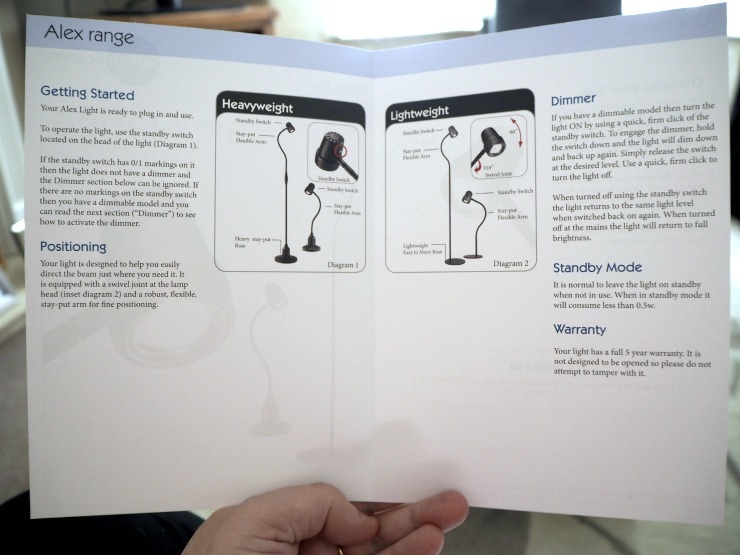 The light comes with a simple booklet on how to get started. You just plug in the light and away you go, just flick the standby switch for the light. The model I was sent was a dimmable model. The arm was adjustable and needed a firm movement to change the position. To use the dimmer, you switch the light on once, then hold the switch down again and the light will adjust to the desired level. It's that simple. The base I requested was a heavyweight base but you could also request a lightweight base if you wanted one. 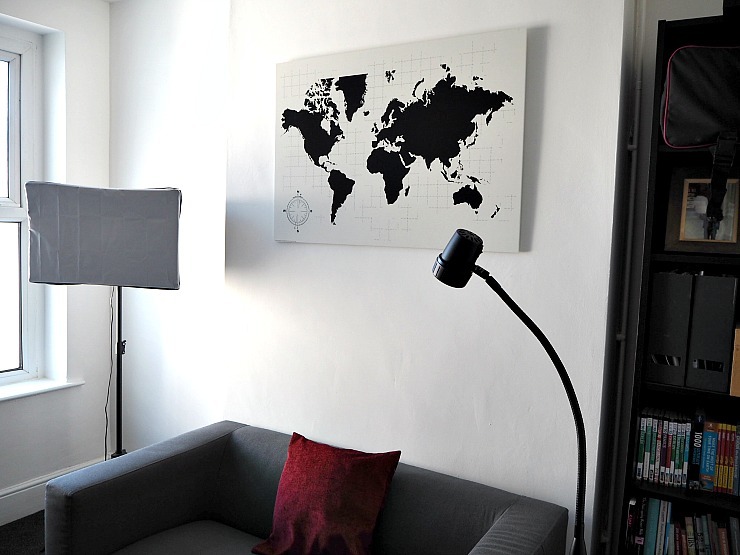 I liked the simple chic black design of the Alex reading light. It fits in with many colour schemes and is a perfect style for a home office, lounge or bedroom. 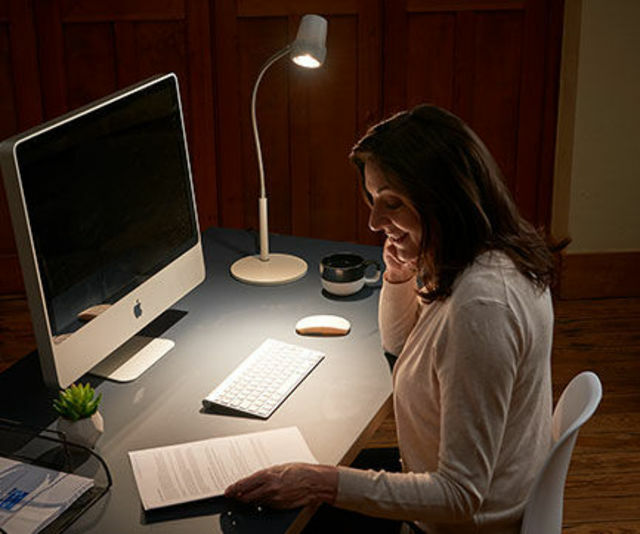 The Alex light is their closest LED reading light to natural light. 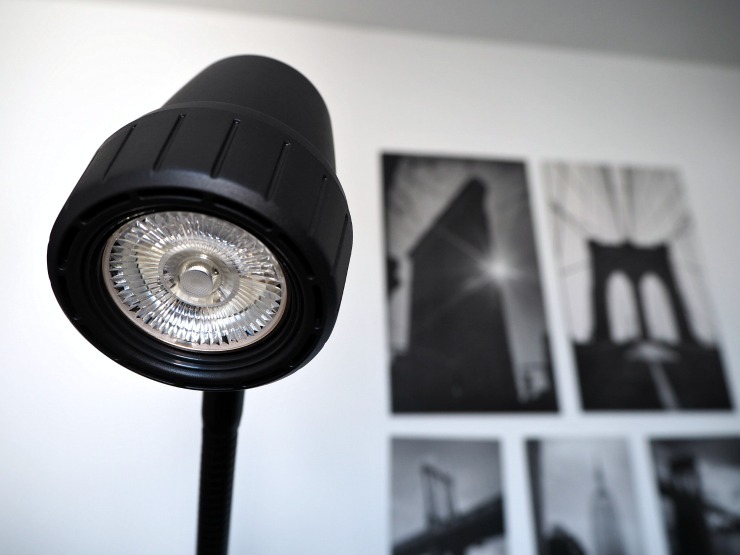 It uses eco-friendly LED technology to provide a bright light that will help you see clearly. Apparently, they use LED Daylight Wavelength Technology™, which can help you focus longer, without the strain so that's good to know. I definitely thought it was the best light I've used to read. Everything was well illuminated but I didn't get any glare. 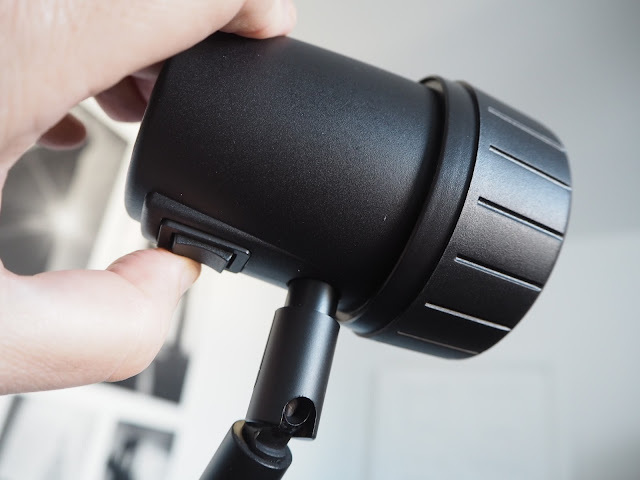 I thought the dimmable option was great when you didn't want such a powerful light and the adjustable angle of the arm was perfect for close up work, such as sewing or other hobbies that need extra light. The print looked sharp and colours looked true, and the light was not overly yellow. The lamp felt strong and robust. 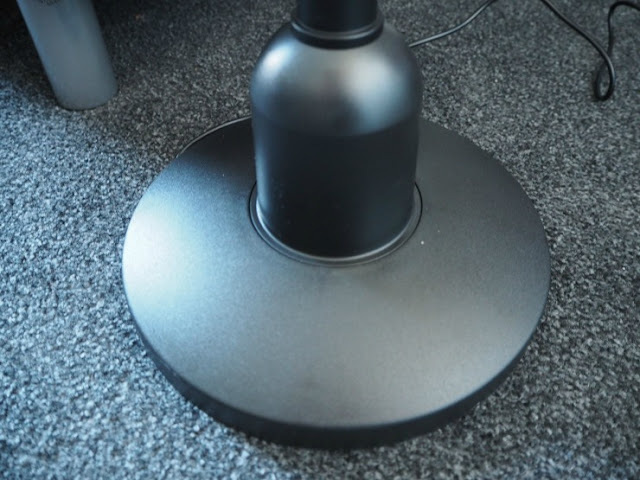 The light has a number of options and you can get it with or without a dimmer, with a lightweight or heavyweight base, and as a table lamp too. They even have rechargeable lights which are brilliant if you haven't got access to a plug socket. The colour scheme you can choose from is black, brass or nickel colour and the body in black or white. If you don't want a fixed light you can order a 'varifocus' light which will let you adjust the beam between 20 inches and 40 inches too. 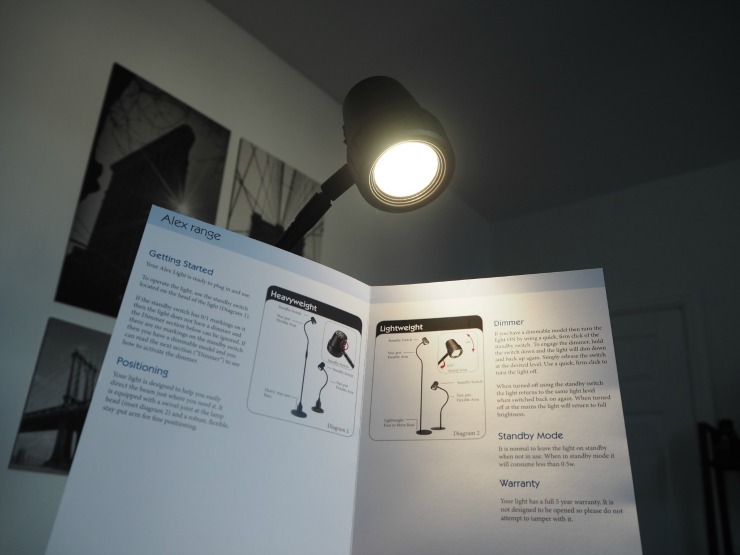 I can see why the Alex range is for serious readers, it's a very useful and excellent quality reading lamp. It's also been recommended by over 500 opticians, the Chelsea pensioners, and is used by air traffic control staff, and you can't say fairer than that. The Alex reading lights have a range of prices. The floor light retails at £269.99 and for the addition of a dimmer, there is an extra £30 charge. With a 30-day risk-free trial for those ordering from the UK and a 5-year guarantee for peace of mind, you really haven't got much to lose. If you want a quality reading light then I personally feel you can do no wrong. Recommended. 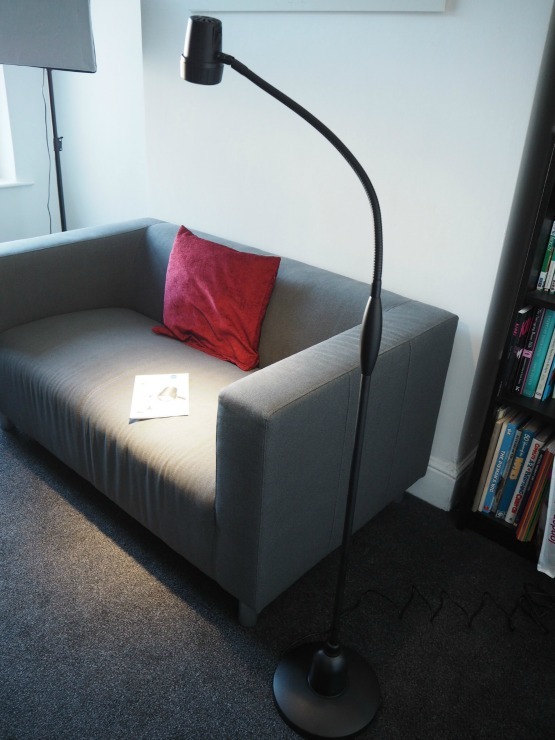 this looks like a perfect reading lamp, as it isn't huge to take over a room. Having an option of a dimmer is a really fab feature. What cool light this should ideal for my son when he is home studying for his university work . Yep it would be perfect for your son Claire. I like the idea of a dimmable night light - such a good idea. I do like something light when reading in bed nothing too bright cos then I cant even go to bed. I wanted a dimmable light especially. This would be great for you as the light is dimmable. I'm always reminding the kids to turn on the light when they are reading. this looks like a great light for readers.